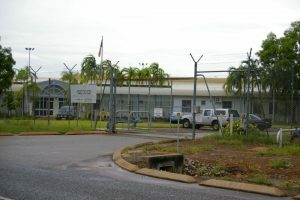 The Northern Territory (NT) Government has aimed to pass new youth justice laws, which contradict, undermine, and go against the damning findings and recommendations from Don Dale Detention Centre. The Royal Commission’s (RC) Report of 2017 found “shocking and systemic failures” over many years in the youth prison system; failures which continue to exist, unrectified and perpetuated by the government today. Despite the Recommendations of the RC into the Detention and Protection of Children in NT, the Government’s proposed changes would broaden the use of force and restraints against youth detainees. A bill before the NT Parliament revealed a number of inconsistencies to the Don Dale Royal Commission findings and recommendations. Among the egregious amendments proposed towards the Youth Justice Act, the prohibition on the use of force or restraint for the purpose of maintaining the good order of a detention centre is in direct contradiction to Recommendation 13.4. The new amendments also give the superintendent of a Youth Justice Centre free rein to transfer young people between detention centres as they see fit, inconsistent with Recommendation 11.2 of the NT Royal Commission findings. Mr O’Brien criticised the NT Government for its urgency in pushing through the retrospective amendments. “The NT Government is a basket-case of knee-jerk, small-pond politicians, devoid of necessary long-sighted policy to solve complex problems,” he said. Don Dale Juvenile Detention Centre. 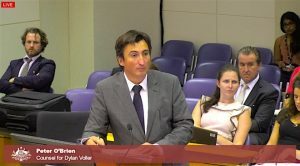 Peter O’Brien representing Dylan Voller in the NT Royal Commission. This entry was posted in criminal defence, juvenile justice. Bookmark the permalink.